I’ve compiled 7 practice problems (some old, some more recent) from math posts on our blog that are great practice for using the “plugging in” strategy. 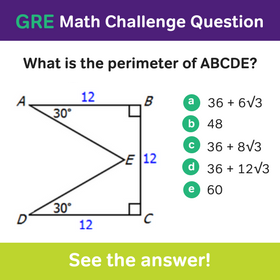 If you’re already familiar with the approach, test yourself with these problems to review the strategy– it’s a method you’ll definitely be able to use for several different question types in GRE math. 1. A transcontinental jet travels at a rate of x–100 mph with a headwind and x+100 mph with a tailwind between Wavetown and Urbanio, two cities 3,200 miles apart. If it takes the jet 2 hr 40 minutes longer to complete the trip with a headwind, then what is the jet’s rate flying with a tailwind? Cannot be determined by the information given. 2. Xyla can paint a fence in 6 hrs. Working alone, Yarba can paint the same fence in x hours. Working together they can complete the task in 2.1 hrs. 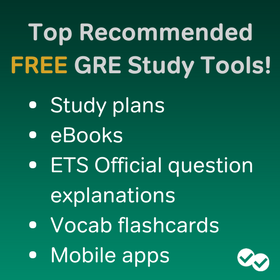 Answer and explanation: Does Plugging In work on GRE Quantitative Comparison? 3. A concession stand sells either hotdogs for $1.75 each or hamburgers for $4 each. If Charlie buys a total of 9 items from the concession stand for a total of 27 dollars, then how many hot dogs did he buy? , where -1 < x < 0? Choose ALL that apply. 6. ^m^ is equal to the digits in positive integer m in reverse order, discounting the zeroes (e.g. ^41^ = 14 but ^3500^ = 53). Which of the following must be true? Select all that apply. 7. Charlie takes 2.5 hours to fly from Los Angeles to Mexico City, a distance of 1200 miles. What is the average speed of his plane in miles per hour? Let us know if you have any questions, good luck! 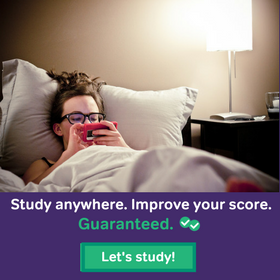 Part II: Does Plugging in Work on GRE Quantitative Comparison?